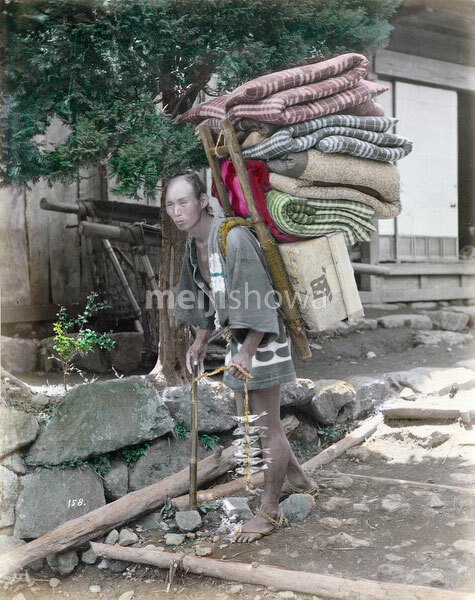 A porter carrying luggage, apparently futon quilts and a basket, on a wooden frame on his back. He is holding a cane in his right hand and a string of fish in his left hand. He is wearing a happi coat. In the back the front of a house can be seen.